360 degree and static video webcasting of the fiesta has been successfully delivered to provide real multimedia coverage of this event. Last year we tried timelapse webcam stills in addition to on demand 360 degree video. 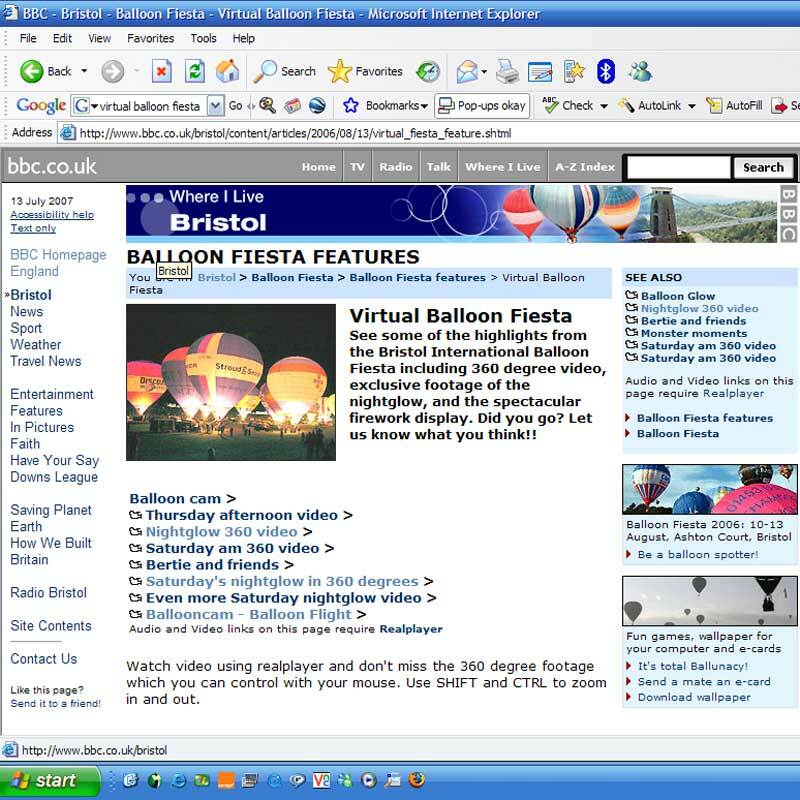 A technically challenging webast which pushed our skills to the limit. Isdn webcast of battle reenactment involved moving video over 500m via cable and video sender to an encoder and streaming to the www from servers in Maidenhead. Webcast of BBC East Midlands Sports awards using satelite uplink to Maidenhead from event. Supervision and techical support to ensure live output was delivered. The world's first ever live birth of a Black Rhino on the web. 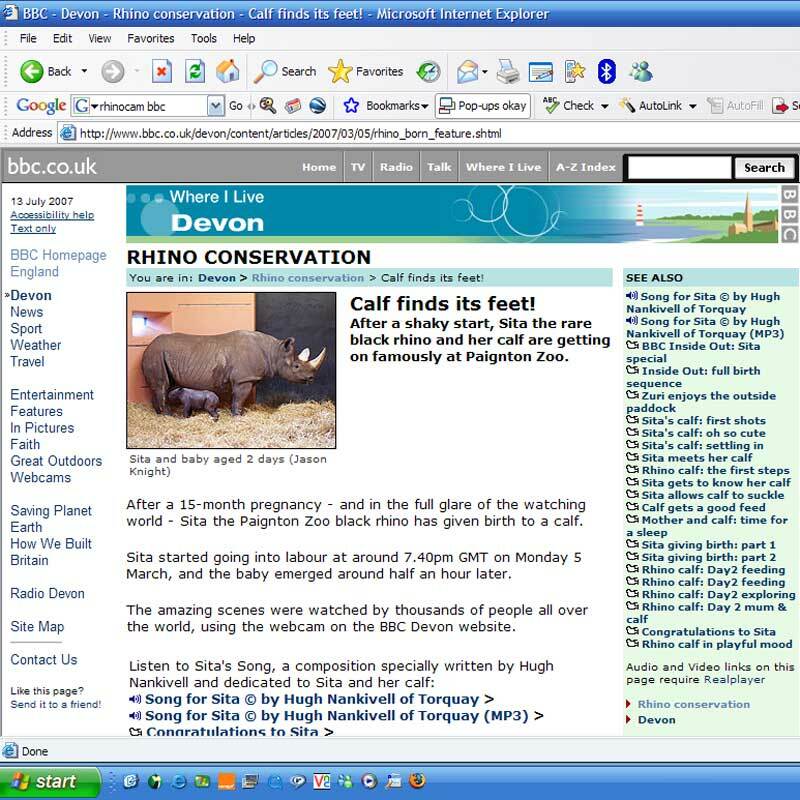 Development of bespoke system to webcast on demand content from Paignton zoo. Use of PTZ big brother cameras on site and a basic store and forward system. Remote control of local PC from Birmingham to ensure service continuity. Hugely successful project whcih became something of a web phenomenon with coverage on TV around the world and huge marketing benefit to the zoo who have a experienced massive increase in their visiter numbers since the production.